It takes real skill to lay a carpet perfectly to make sure it looks its best. Only a professional carpet fitter with years of experience knows how to lay each carpet type so that it continues to look good for years. If you want the assurance of quality workmanship, gained from over thirty years of experience, look no further than Carpet Surgeon in Tamworth. The advantage of using a multi-skilled professional is that, from start to finish, your carpet fitting will be completed to the highest standard. The benefits of this experience are obvious straight away. Expertise in measuring up and knowing the most appropriate way to fit the carpet ensures minimal carpet waste and therefore reduces cost. It is also essential for your Tamworth carpet fitter to understand different sub-floor types. Correct preparation of the sub-floor prior to fitting the carpet will achieve a perfectly smooth fitting carpet upon completion. If your floor requires any preparation work this can be undertaken before installation. And all this is before the carpet is even laid. It’s not just about laying a carpet down on the floor either. How the carpet is fitted is crucial to the end result. 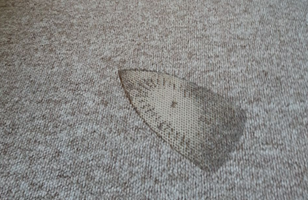 When engaging the services of Tamworth’s, Carpet Surgeon, whose speciality is invisible carpet repair, you can have full confidence that any joining required when fitting your carpet will be invisible and seamless. The fitted carpet edges will also be perfectly neat and hard wearing. This is where craftsmanship really makes a difference in carpet fitting. Over time, a quality carpet fitting will make a carpet continue to look as good as the day it was installed. 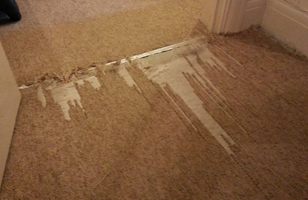 Carpet Surgeon also pride themselves on excellent customer service. Over the years, a base of loyal, happy clients all around Tamworth can testify to the convenience of a local, professional carpet fitting service. Customers from Glascote, Glascote Heath, Wilnecote, Bolehall, Belgrave, Two Gates, Perry Crofts, The Leys, Coton, Hopwas, Bonehill, Fazeley, Mile Oak and Dosthill have used Carpet Surgeon time and time again. Some customers have moved house and called on the services of Carpet Surgeon again for re-fitting carpets in the whole of their new house. Whether it’s one room or a whole house that need carpet fitting it can be arranged at a time to suit you with minimal disruption. Just call Tamworth 01827 261 782 to arrange a no-obligation quotation. If you live outside the Tamworth area, or are looking for information on commercial carpet fitting, Carpet Surgeon can help you too. 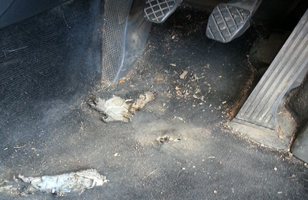 Just contact us here and Carpet Surgeon will get right back to you.